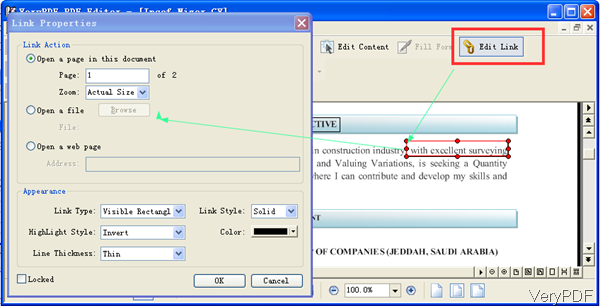 ← How to optimize PDF in batch by PDF Editor? Question:I need a software (freeware are preferred) that enable us to edit PDF files directly, just like editing a Microsoft Word document. What software is best used for that purpose? Please help. Answer: According to your needs, maybe you can have a free trial of VeryPDF PDF Editor. Even if it is not a freeware but it can edit PDF like MS Word editing word document. It enables you to edit PDF files directly. In the following part, let us check what it can do for you. 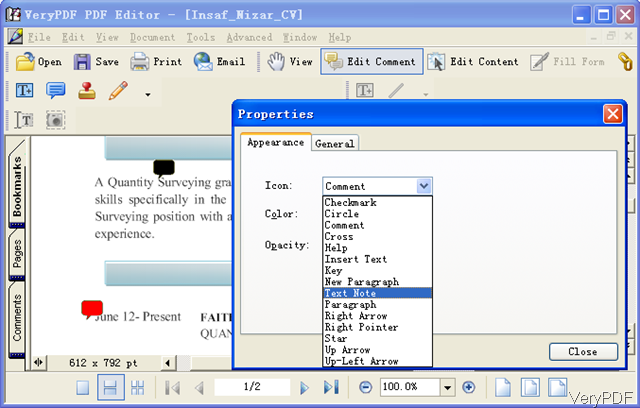 This software allows you to edit PDF content like editing word in MS Word application. This software allows you to edit PDF content, edit PDF font size, style, color and position. Please check details in the following snapshot. And the operation method is extremely easy. Simply launch this software and find option Edit Content, then click the area where you need to edit. Right click the red frame and go to properties option. Then you can edit PDF content freely. 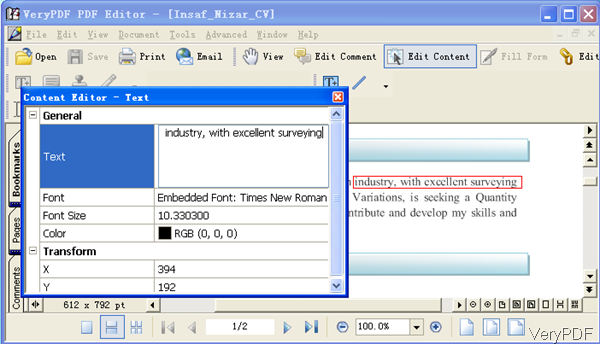 This software allows you to edit hyperlinks on the text or image in the PDF. And the links either could be internal hyperlinks which link chapter and chapter or links which combine with outside website. You can edit hyperlink appearance, like color, background color, size, like type, highlight style and line thickness. There is an option named Edit Link, click it then you can draw an area on the text or image where you need to add hyperlink. Then right click the area and go to Properties in the dropdown list. You will see the menu option like I showed in the snapshot. When you finishes editing, simply click button OK to back to main interface. There is no comment in word documents but there does in PDF file document. So PDF Editor was designed with editing comment function. By this software, you can edit comment by force text, by image, by various lines and by all kinds of icons taken by the system. Say you can design the icon the comment as checkmark, circle, cross, help, key, new paragraph, text note, right arrow, start, up arrow and so on so forth. Meanwhile, you can control the color of the text and the opacity of the comment. Simply click the option Edit Comment then all the stamp options will go to fresh from grey. Then you can use any one of them according to your needs. There are to many enormous functions to be listed here. If you need to know more, why not try it yourself. During the using, if you have any question, please contact us as soon as possible. Can I add sport comment to my pdf files with VeryPDF PDF Editor?